Episode 80 of The Independent Characters covers a tremendous variety of topics. As usual, we start our with our hobby progress and (lack of) games played. But then we get right into the main course of the show. Imperial Armour 3 2nd Edition: The Taros Campaign is the first part of our two part main course this episode. 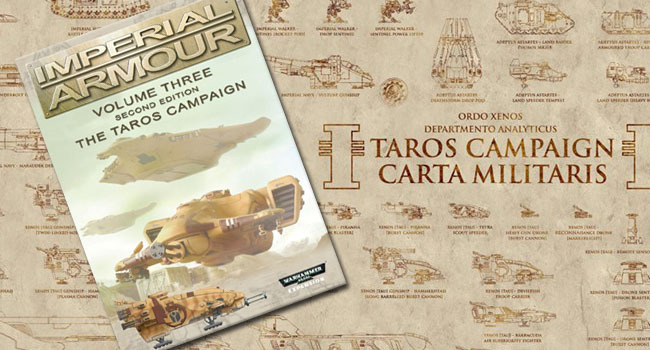 We go through the changes between the 1st edition and now, and ultimately let you know why Forge World has released this new book and weather it is worth you buying or not! This is followed up by a very special edition of The Warrior Lodge, we have titled The 40k Widows Club. We have three of the wives of our players in studio to talk about how their husbands involvement in the 40k Hobby has impacted them and what problems and solutions they have come up with. As it turns out we hear from three different spectrums here. A wife who has children leaving the nest, a wife of a tween-aged child, and the wife of an infant child. We learn some interesting things from their perspective. Hopefully they let us know a few things we can do to keep out of trouble. Finally, we have an interview with several members of Behaviour Interactive. This is the studio charged with bringing Eternal Crusade, the Warhammer 40k MMO to life! We hear about their previous experiences and some thoughts behind what drives them and what they are thinking about doing with the game. This is recorded over a conference call, so the audio isn’t the best, but we hope you can bear with it as there is some really great information here. We will work to improve this in the future as we are going to be having multiple interviews with the developers as the game progresses!